I Am Charlie Wilson | Your #1 Source for Kindle eBooks from the Amazon Kindle Store! 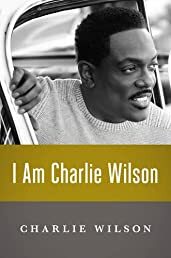 The long-awaited memoir of seven-time Grammy-nominated artist Charlie Wilson, the iconic R&B and Funk singer-songwriter-producer—interwoven with his recollections of collaborating with fellow artists such as Stevie Wonder, the Rolling Stones, and Snoop Dogg. Here, in the memoir fans have been demanding, is the story of how love and faith carried him through not only his addiction, but also prostate cancer. Here, too, is the story of his work in the music business, including a career resurgence that saw collaborations with some of the most sought-after artists of today, including Pharrell and Justin Timberlake.